Bowflex has been on the scene for a long time, in fact since 1986. They have produced many well-renowned pieces of home gym equipment with the extreme to see being the latest in the range. 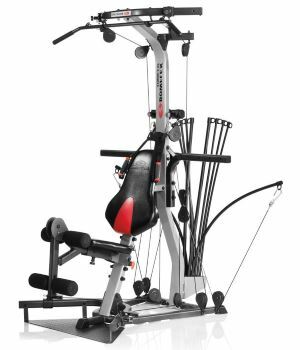 Bowflex’s primary innovative product has been their creation of the Bowflex Power Rod technology which allows them to make their exercise equipment so compact. Training with Bowflex Power Rods can be just as effective as using free weights at the gym. For example, the Xtreme 2SE to see is capable of providing 410lbs of resistance to its user. That is an astonishing amount for a piece of home gym equipment. Be sure to read out guide on the best bowflex home gyms. There are many reasons for having workout equipment at home. The main reason that many people do this is for convenience. We all know that traveling to the gym, getting changed, working out and queueing for equipment is a massive pain, so why not do it at home? A home gym lets you be in charge of when you work out and how you do it. Plus, you don’t have to make special trips to the gym for quick workouts. 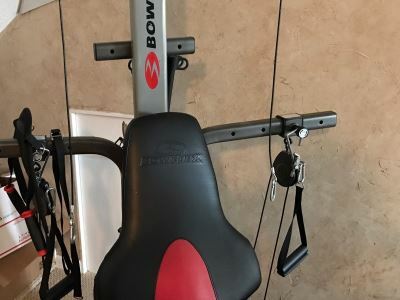 For these reasons, many people consider getting a Bowflex home gym so that they can work out in an entirely convenient way. This in total means that the Bowflex Xtreme 2SE requires 7 x 6 feet of space. That is a very compact footprint when it is in use, and it can even be folded away so that it takes up very little space when stored. If you get to the level where you require more resistance, the Bowflex Xtreme 2SE can be easily upgraded to resistance levels of either 310lbs or 410lbs. This ensures that it will take a long time to outgrow the machine. Another thing to note is that a Bowflex machine won’t turn you into a massive powerlifter. Getting in shape and building huge amounts strength are two very different things and for that, you would require heavy gym workouts. In conclusion, the Bowflex Xtreme 2SE is an extremely versatile machine that comes in a compact package suitable for the home.